Third-party financing in high-growth mode. Next is driving down finance costs and soft costs. A new partnership between Clean Power Finance (CPF) and Paramount Solar, a business partner of world-leading infomercial marketer Guthy-Renker, could turn residential rooftop solar into a star of late night television. Paramount Solar, explained CEO Hayes Barnard, evolved just over three years ago out of the successful Paramount Equity mortgage and insurance businesses. Using a client list built over nine years that has created a cumulative $10 billion in loans and 70,000 financial transactions in those financial services businesses, Paramount Solar is now selling 300 residential rooftop solar systems per month, Barnard said. CPF began as a business-to-business sales management software platform and now has a network of 1,350 independent installers. With some 100 channel partners taking advantage of its hundreds of millions of dollars in institutional funds, it has now become, along with SunPower, Sunrun, and SolarCity, a leading administrator in the $2-billion-plus and rapidly growing third-party ownership (TPO) space. Each of the leading players has a slightly different approach. SunPower (NASDAQ:SPWR) focuses on selling its own products; Sunrun specializes in leases and PPAs; and SolarCity has developed a full-service brand. Through CPF’s software platform and network, Paramount Solar will expand its ability to quote, sell, and design residential solar systems. 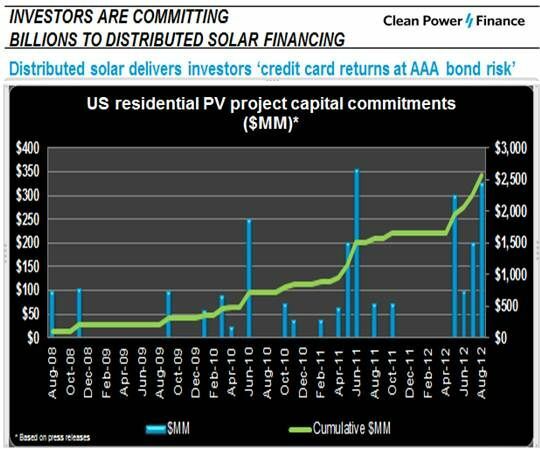 Along with plummeting solar module prices, TPO financing has driven dramatic U.S. solar industry growth over the last two years. 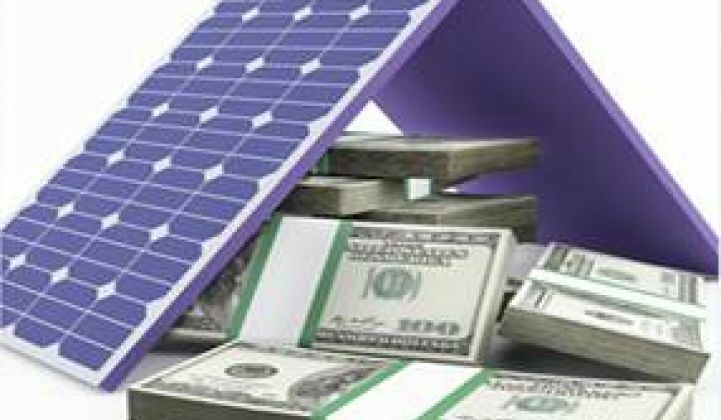 Through it, institutional funds pay for users’ solar systems through lease or power purchase agreement (PPA) contracts in return for tax equity and, potentially, a portion of the cash flow. Users get reduced electricity bills. Administrators get a fee and/or another part of the cash flow and channel the rooftop work to installers. Presently, they are testing seven media marketing channels, Barnard said, including digital channels, radio, canvassing, direct mail, email, exploiting the Paramount database and building a new database.